COLUMBUS — Thanksgiving is right around the corner and this year, the Ohio Poultry Association (OPA) is sharing their signature turkey leftover recipes, created in partnership with top Ohio food bloggers. According to the National Turkey Federation, nearly 88 percent of Americans eat turkey during Thanksgiving, which adds up to about 736 million pounds of turkey. 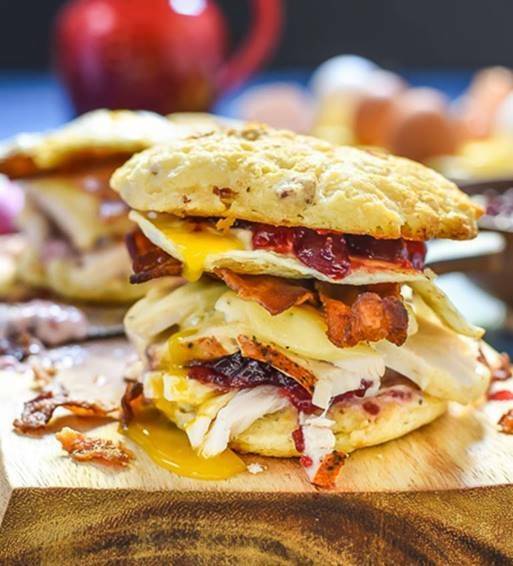 Transform Thanksgiving leftovers into a simple, yet amazing Leftover Thanksgiving Breakast Sandwich by Ohio food blogger NeighborFood.